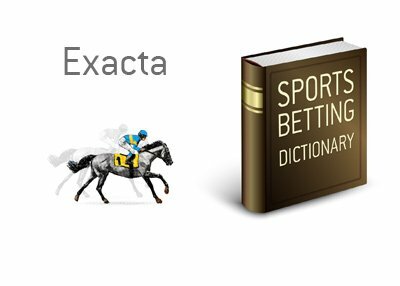 Exacta Definition - What Does Exacta Mean? 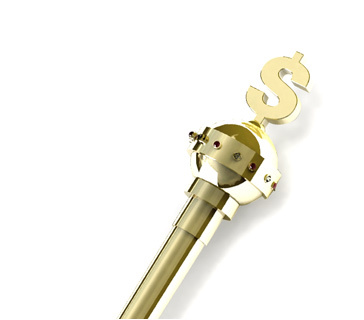 What is the definition of the term "exacta" when it comes to the world of horse racing? What is the definition of the term exacta? When it comes to betting in horse racing, an "exacta" is when you are required to pick the top two placing horses IN THE CORRECT ORDER. So, let's say that you think that "Razor Blade" is going to win a race, while "Blue Boy" is going to finish second. If you decided to bet an "exacta", you would pick "Razor Blade" to win and "Blue Boy" to finish second. If "Blue Boy" finishes in first place and "Razor Blue" finishes in second, you would not win your bet, as you wouldn't have predicted the correct order. If "Razor Blade" wins and "Blue Boy" finishes in fifth place, you would not win your bet either. The benefit of betting "exactas"? The high odds - if you hit your bet, you stand to make a great deal, especially if one or both of the horse had long odds to win the race.